Locals have stories for the rocks and cliffs that resemble birds, animals or mythical creatures. 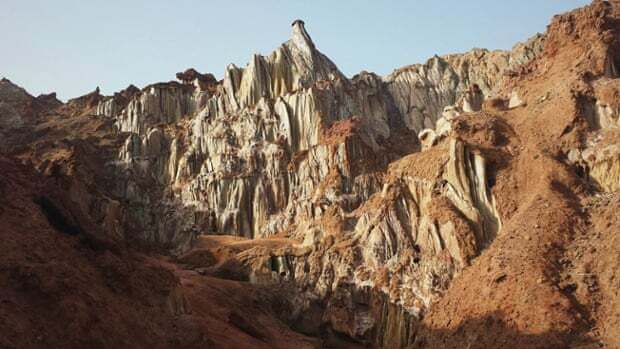 “We grew up with our grandparents taking us on long walks and telling us about the rocks,” says Ali Hormuzi, a 44-year-old resident. Colourful mountains in shades of pink, red, purple and yellow overlook shorelines where turtles and flamingos roam or sunbathe. * * * The island was once settled by tens of thousands but its population has fallen below 10,000. Many have been unemployed since relations with Oman, an important trading partner, soured during the presidency of Mahmoud Ahmadinejad (2005-2013). Locals would bring goods back to Hormuz, and then sell to traders in Bandar Abbas and Qeshm, a neighbouring Iranian island. “Technically, it was smuggling, since it was all done under the rug,” Ali explains. Ali has worked hard to make ends meet since trading with Oman declined. Smuggling, qhachagh, is a word you hear all over the Persian Gulf islands, including Qeshm, from where I have travelled the 60km to Hormuz. In some ways the islands are distinct from the rest of Iran. 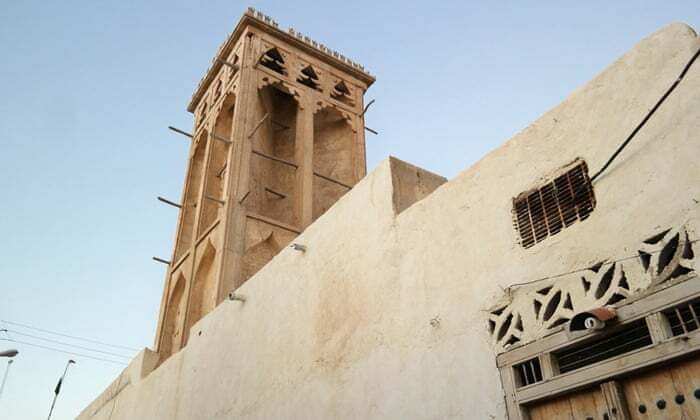 The wind-catchers – long, rectangular structures that cause airflow from the cooler undergrounds to the main rooms – in old homes are even more intricate than those found in Yazd, in the central desert. The cats resemble Siamese cats more than any feline you will find in Tehran, Isfahan or other mainland cities: one can only imagine they arrived on trade ships. 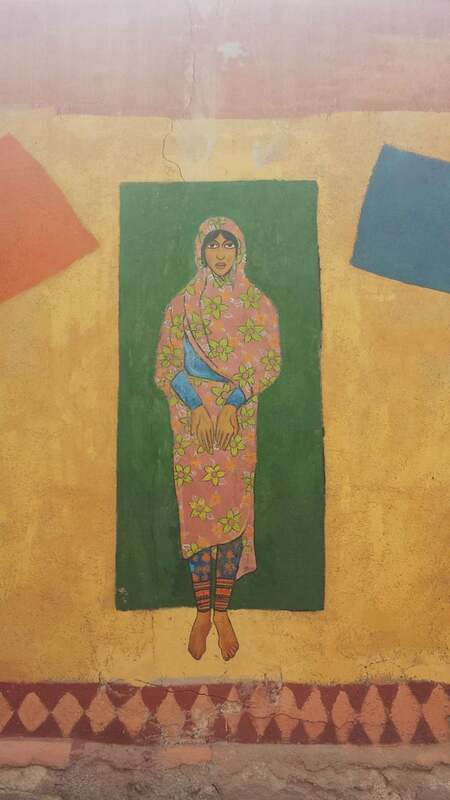 Unlike many parts of the country where women have shed traditional regional attire, the women of Qeshm and Hormuz mostly wear the colourful bandari pants, loose at the top and tight at the bottom with vibrant embroidery. A loose cotton chador with rich, bright flower patterns covers their heads. * * * But despite deep trade and cultural ties to India and Pakistan, locals know themselves to be Iranian first and foremost. Rice is cooked the particular Iranian way, steamed and then crisped at the bottom and along the edges - tahdig. 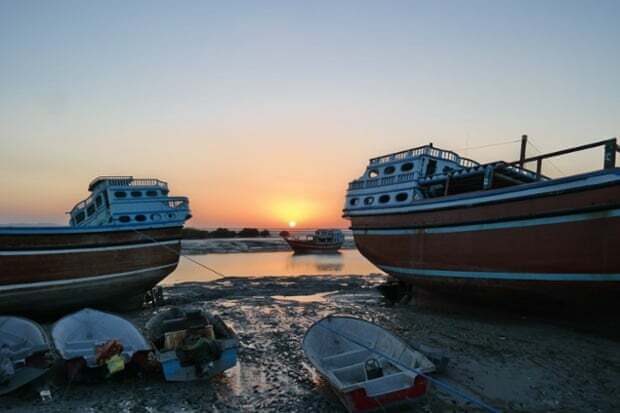 Local cuisine, especially on Qeshm, which sees most tourists, is plentiful and delicious, with seafood offered once the sun sets and residents get out by the water. Octopus, fish and shrimps are sautéed with onions, tomatoes and local spices, and put into a sandwich with pickled cucumbers and cabbage. A local mix of ten spices and herbs including turmeric, cloves, dried rose petals and cinnamon makes meals exemplary. In recent years, with the absence of hotels across the islands, people have begun turning their homes into restaurants and hostels. The most famous is nakhoda (captain) Amini, a sailor turned restaurateur in Tabl village, on Qeshm island. He has a dozen rooms, and theirs is a family business: his wife cooks, he manages, the children and grandchildren take care of affairs. Guests are given a notebook to sign, and captain Amini says he now has a sack full of them, and plans to publish a book on his 20 years in the business. There are notes by people from as far away as Australia and Germany, and there is a family from Spain staying in the room next to me. Traditionally, homes on the islands were all built with wind-catchers. But today, on Qeshm, Loft village is the only place where they can be found. Following an earthquake in 2005, the houses were rebuilt with cement and air-conditioning. “It’s an archaeological artefact,” a woman tells me, pointing to her wind-catcher. Lotf village is also known for its view of the Persian Gulf, and as we walk the village in the late afternoon, at least a dozen European tourists are waiting on a hill to watch the sunset. “Where are the Iranians?” I ask a resident. “In the shopping malls,” he answers. With sanctions against Iran, smuggling has supplied the Dubai-style malls sprouting up. Most of the merchandise came that way, a storeowner in Qeshm city centre tells me. Qeshm was declared a free trade zone under the presidency of Akbar Hashemi Rafsanjani (1989-1997), following a boom in Kish, another island in the province. The quest to create a business-friendly environment around glitzy island resorts in the Persian Gulf began under the Shah. 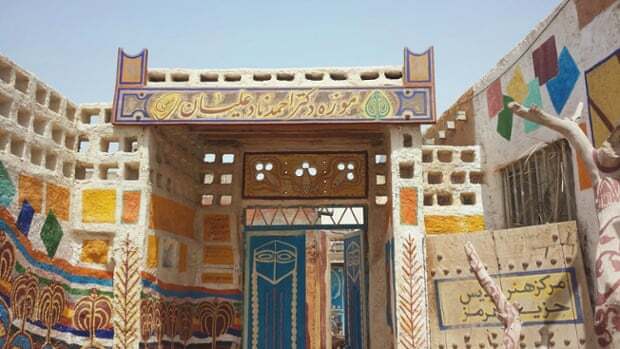 After he built a villa on Kish, his regular trips were well publicised and led to the establishment of the Development Organisation of Kish. Whole villages were razed to make way for large-scale projects. Following the 1979 Revolution and end of the Iran-Iraq War in 1988, the vision was carried forward despite tight economic sanctions. There are now many Iranian free trade zones including not just Kish and Qeshm but Chabahar in Sistan-Baluchistan province and most recently Arvand in Khuzestan. What makes Qeshm different from Kish, known throughout Iran as a shoppers’ haven, is that many locals own stores and malls. But while locals that are savvy enough to jump ship can prosper, those wedded to the traditional pastoral life are pushed into deep poverty. In Kish, locals live in almost slum-like conditions beyond the high rises and shopping malls. Naeem, an acquaintance in Qeshm, has been smuggling fuels like petrol to Dubai since he was 14. “It’s been lucrative,” he tells me. “I have a house, a car, and will be fully paying for my own wedding next week.” Weddings on the island are seven-day affairs where the entire village is fed many times, so paying for one’s own at 25 years of age is an achievement. From 2014 to 2015, the number of petrol smugglers has dwindled. “The profit used to be threefold,” says Naeem, who is trying to get into tourism, while still transporting cargoes of clothing and foodstuffs from time to time. In summer of 2014, Naeem counted more than 100 petrol smugglers in one day. In 2015, “I see less than half a dozen on the same road. “The guards have cracked down hard,” he says. * * * The “boys” stick together, and inform one another of things they’ve seen. As soon as we see guards stopping three Toyotas with gasoline in the back, he calls several friends and warns them to keep watch. 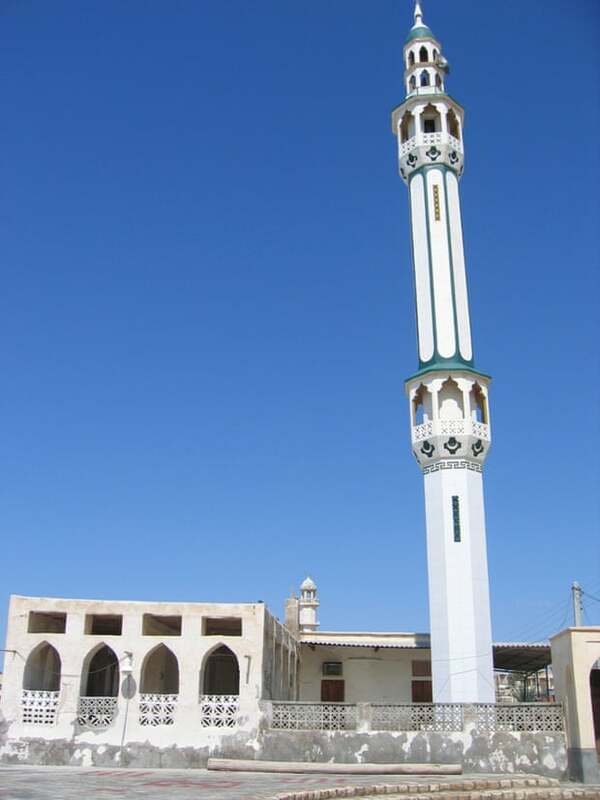 As we hear the call to prayer from a mosque, he asks to stop: “I try to never miss Friday prayers, especially the sermon.” In Qeshm, the population is predominantly Sunni Muslim. * * * Fishing is a main source of income across the Persian Gulf islands, but one that has always been associated with a more humble lifestyle. Driving around Qeshm, the fishing villages are always more simple than where smugglers, merchants, dhow constructors or mall-owners live. Corruption is a word one hears everywhere on the islands. 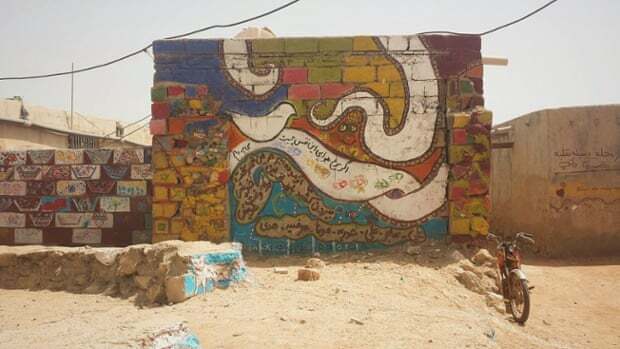 In 2013, the newly appointed head of Qeshm free trade zone spoke of “a vast loose financial mafia” that had been “looting the island’s riches en masse.” A large incomplete building that was to be the headquarters of the Heritage Organisation sits in ruins near Holor village, half built because the head of the project disappeared with the budget, neighbours allege. 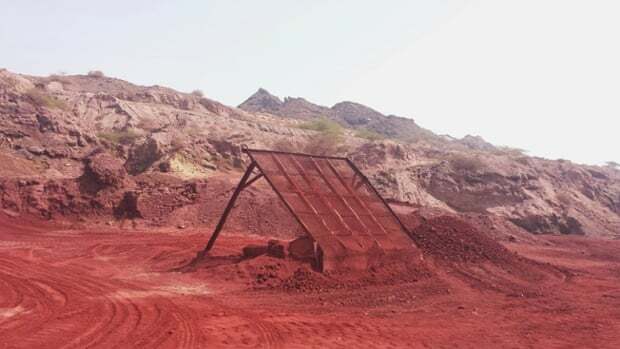 * * * Hormuz is best known for its ochre, a red-coloured earth pigment that has made miles of this land look majestic. Traditionally, the ochre was used in everything from decorative arts to wedding ceremonies and even as a spice for fish and torshi (pickled vegetables). Now the ochre is transported by the truckload and exported. Out in the countryside among the multicoloured mountains, the dirt of tractors and trucks belonging to the mining facility can be seen from miles, razing the land, and emptying dirt into the nearby water.